Thai Massage is a known healing technique that places emphasis on the mind and body connection. The therapist applies pressure using the thumbs, fingertips, hands, feet, arms and legs. Compression using the therapist’s body weight is also applied to large areas of the body. Pressures combined with manipulations stretch the spine and pull on joints to leave the body feeling loose and relaxed, ultimately maintaining flexibility and relieving tension. The therapist works by kneeling or sitting on the floor alongside the client, working from the feet up to the shoulders and neck, over the face and onto the scalp. Thai Massage is a deep-massage technique that can be very relaxing! We are pleased to present the application of Thai Massage especially for back and shoulder. It really works on the muscle tissue and concentrates on the back and shoulder. It is the deep tissue massage that will relieve, prevent soreness and ease tiredness. Foot Massage is great for tired feet, improving circulation and lymph movement in the feet and lower legs and simulates nerve endings without pain and discomfort. You will leave the session felling relaxed, yet energized and invigorated! 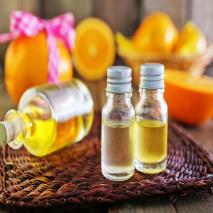 Aromatherapy is not just a massage using aromatic oils. The massage technique consists of mainly long, gentle stroking movements to calm and soothe the nerves, focusing on lymphatic drainage. During Aroma Oil Massage, the oils penetrate through the skin tissue into the bloodstream. It is used in pain relief management, treatment of emotional stress and generally helps to enhance the quality of life, you will walk away feeling energized and refreshed from within! Web Design by Pixart Pte Ltd.